We all need cash now but what if you were to find lost money that didn’t belong to you? Would you give it back or try to locate the owner of the missing money? You would think if something is abandoned that the owner has given up the right to what they have given up. If you are wondering where to find money my answer would be, all around you. It may not be large amounts but people throw money away, all the time. It’s funny how many of us would have to think twice if we were to find lost money or try to locate the rightful owner of the money. If you were the person whose money went missing trying to figure out how to find the money might be a lost cause, but never give up hope. There are honest people in this world who wouldn’t dream of keeping money that doesn’t belong to them. Sure, we’ve all found a quarter in a shopping cart that someone forgot to take at the grocery store or you may have found a few dollars on the ground. The likelihood of someone looking for petty cash is slim to none but you never know if you find a larger amount of money who might be looking for it or who might really need it. I don’t know many people who can afford to throw money away but in some form many of us do even if we don’t think we are. I read this story on Yahoo this morning about a guy who works at a recycling plant in Norway who found $19,000 in a safe that was dropped off to be recycled. Did you really find lost money if someone willingly gave it away or was it an error? Just look at the treasures they find on the show and these people who own the property should know that have valuables or money but it may just slip their minds or they lose the opportunity to claim it because they didn’t pay their bill. That’s just one way we throw money away without knowing it or thinking. To be honest I would have thought the owner of the missing money would have been right back at the recycling center to claim it but they had to track down the owner. The recycling employee could have easily kept the money because he found it although his employer likely has some sort of employment provisions where employees can’t take home anything they find. That’s good because sometimes we throw money away without thinking about it. The owner did come back to claim his $19,000 (117,000 Kroner) and threw a party for the guy who found it along with a $2000 reward. That was a lovely gesture considering he could have lost the lot. Finding money is tempting for anyone but if you have a good heart and know that it’s too large an amount you will try to locate the owner. I know many people who read the article probably wondered how someone could throw $19,000 and not know it. Easy, we forget or amounts are small and they don’t seem big to us. For all we know the owner could have been a multi-millionaire and that $19,000 was chump change. What other ways do we throw money away without realizing it? I bet if you looked in that safe and noticed $19,000 your eyes would have popped too. The reality is we throw little bits of money away every day unless we are tracking our expenses and buying only what we need. Even then we still throw money away because for many people (us included) we have to borrow money to get ahead in life, such as getting a mortgage. All those little expenses add up and over time that safe may be filled with money we threw away. Other areas could be on interest you paid on your credit card debts, vehicle debts, student loans, line of credit etc. Unless you have money to burn it’s likely you will be losing money to interest paid on debts but for how long is up to you. In the end its money we throw away just to have what we want or in some cases need in life. Sure not all money thrown away is intentional like with a student loan or mortgage but the faster we can get rid of our debts the more money we get to keep without giving it away to someone else to get rich. If you are a savvy investor (we rely on an advisor) and trust you can make money then you know where to stash your cash but for us paying off our debts so we aren’t tossing cash to the wolves is what we decided to do. I know that if we were to find money that didn’t belong to us you can be assured we would try to locate the rightful owner. I know if it were us we’d be grateful. What would you do if you were to find lost money and how do you try to cut back on throwing your money away? This week I want to do something special and thank first of all the fans of The Free Recipe Depot for sharing and becoming a fan of the page. Yesterday I put a shout out on the page about wanting to reach a personal goal of 2000 fans which I am very close to achieving. It was so nice to see a couple of Food Blogs went out of their way to share the page with their community with great response. Today I’d like to say thanks to anyone I’ve missed who shared but to those I do know of “Cook this Again, Mom” and “Off the Cutting Board” and I’d like to share a recipe from each blog. 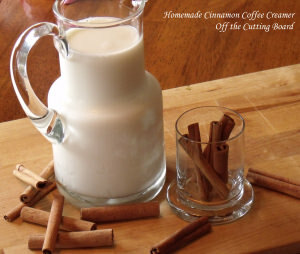 Homemade Cinnamon Coffee Creamer in a hot cuppa coffee sounds amazing from Off the Cutting Board which would go perfect with the Sweet Cardamom Rolls from Cook this Again, Mom. Enjoy! Why you should enjoy local produce or pay the price? Can lending money ruin friendships? 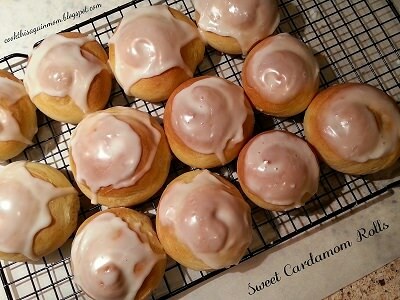 Do food pictures tempt you to buy the product? Is paying off the homeless people the answer? Well, that’s a wrap for this PF Friday’s Grab a brew #70. Happy budgeting and I’ll see you here again next week when I do it all over again. 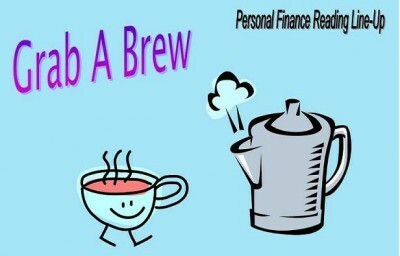 PF Weekly Grab a brew #69: Would you quit your job to travel the world for free? I think if I found money, the effort I would spend to find the owner would depend on how much it was, and where it was found. Not going to lie, though, finding that money in that situation I would have been very tempted to keep it! The problem is where he found it which was with his employer who owns the safe not him. I know what you mean though about the amount and where it was found. I think most people would agree although if it were a large amount I’d try to find an owner if possible or like Christine mentions bring it to the police station. Yes I could use the money found but I couldn’t live with myself if I just took it without trying to find the owner. I would likely take it to the local OPP office and let them figure things out. I know they have a policy that if the item (in this case the cash) isn’t returned to an owner the finder would get it…..The find would be reported in the local weekly paper in the police report. That’s interesting… I wasn’t aware of that. Thanks for sharing that with us Christine. I think we have a similar thing here. I think. If I found that much I don’t think I could just keep it. Too much guilt and anxiety. But when I find a $20 on the city sidewalk, I can’t lie, I totally pick it up and keep on moving without a second thought. If you find it on the sidewalk it’s a different story. I once found a tonne of change all over a parking lot as if someone dropped their wallet and just left. I picked it all up. Didn’t really care for the wording describing the person returning the money, essentially saying that the only honest person is one who returns found cash. By that logic, those who choose to not return found cash is a dishonest person? Remember, this is found cash, not stolen at gunpoint, not cheating someone out of it nor embezzled. And, for a lot of people, finding a large sum of cash can mean the difference between losing or keeping their home, feeding their kids Kraft Dinner or something actually nutritious. What people have a hard time with isn’t a matter of being honest, but they have a crisis of conscience and guilt. Odds are, I’m not getting my point across properly (sick and running a fever). Guess what I’m saying is that an honest person could keep the cash as well as find the owner and return it. It’s all a matter of circumstance. Sure, I’ve found money before and there is no where to return it but I guess if I were to find a huge amount of money (yes it’s found… finders keepers.. I’d still try to find out who owned it. I know what you are trying to say as well and I respect your views. Cheers Brad… and get well mate. First, thank you for sharing my article Mr. CBB! Second, my decision to give money back would come only based on how much money it was. If it was a lot, then I would do what I could to find the owner. If it was $5 or $20, then I wouldn’t work as hard to se who’s money it was. Yes, that was my point.. if it was a substantial amount of money than certainly someone may be looking for it at some point. Who knows maybe someone stashed it in the safe and didn’t tell someone, someone passed away and it was a mistake. Personally, what I’m trying to say is that I’d do what I believe is right to me and that is try to find the owner and if no owner is found.. if it’s mine to keep then I’ll find a good cause for the money. I think in this case the employer is the owner of that safe since they own the company not the employee. Cheers Grayson. I can’t believe that someone actually could have forgotten about $19,000 in a safe. Seems like before you dropped it off to be recycled you would at least check to be sure it’s empty, wouldn’t you???? Anyway, thanks for the shout out this week! It’s very much appreciated! You would assume so but some things slip our minds even the obvious lol. Enjoy your weekend. Interesting story, I would like to think that I would do my best to contact the person to try and give their money back. I wouldn’t be able to live with myself otherwise as you never know what that money meant to the person. Thanks for mentioning Laurie’s post Mr.. CBB, I really appreciate it!